Mantra Heritage features 45 rooms and suites nestled amongst 1200 square metres of saltwater lagoon pools, spas and lush tropical gardens. Every room provides total comfort and entertainment with air-conditioning, ceiling fans, internet access (charges apply) and cable TV, and Deluxe Apartments offering touches of luxury with private Jacuzzis. 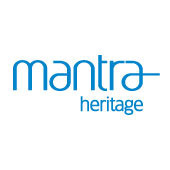 Mantra offers an extensive collection of hotels, resorts & apartments capturing the natural charm and ambience of their diverse locations.Stylish decor, quality servcie and the best locations are all part of the offering.